Upon hearing the words ‘Kuala Lumpur’, images of twin towers and incredible food are the furthest things from my mind. Instead, I recall a clear memory of my first near death experience. Years ago, in Kuala Lumpur, it was a blisteringly hot day and so my family and I sought refuge in the air conditioning of a shopping mall. It was an absurdly huge mall which housed several amusement rides. One of the rides was a ‘Pendulum Ride’ and I’m sure you can deduce how this ride is supposed to work. 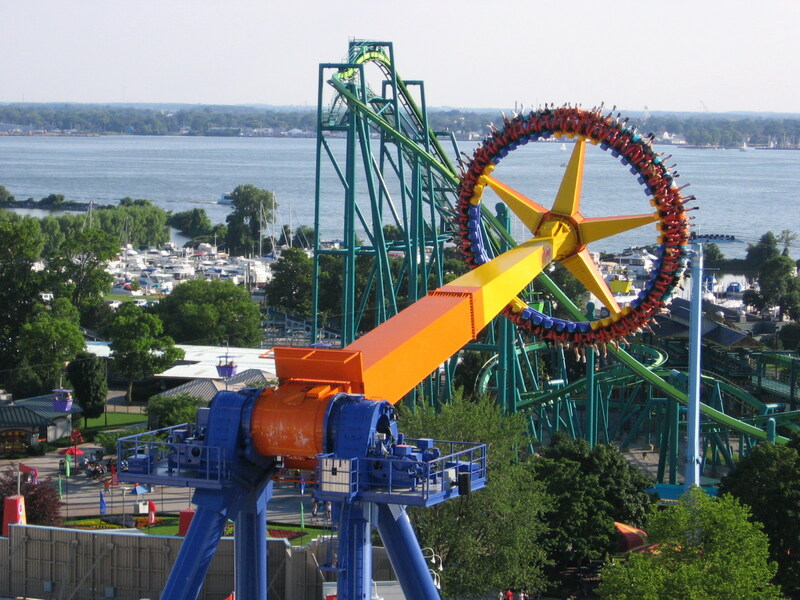 Example of a pendulum amusement ride. Source: Vlastula via Wikipedia Commons. When I went on this ride however, it was a little different. With my family on board, the carriage swung to the top and froze. All the riders thought it was part of the ride and so they kept yelling in amusement. Then there was a ‘bang’ noise. A minute passed. Two minutes. We were all dead silent as blood rushed to our heads. Towering above the ground, we all observed as engineers ran around the ride like ants with walkie talkies. Hanging in silence, I couldn’t stop myself from picturing an accidental release of the seat harnesses. One wrong move from the engineers below and I would have faced a thirty-metre fall. Thankfully, the engineers safely fixed the ride and I lived another day. If things were a little different, perhaps that wouldn’t be the case. A few nuts and bolts loose and perhaps I would be dead. So what? Well, I know for one that you wouldn’t be reading this – what a shame. Yet that’s not the point I’m getting at. Would my death have meant anything? 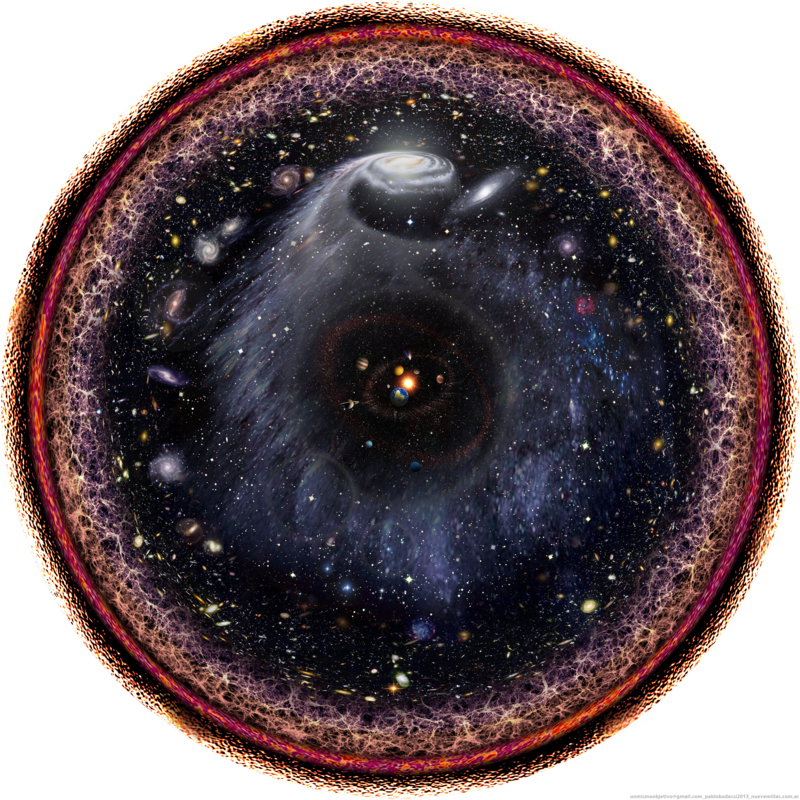 The observable universe is an unimaginably huge place. Truth be told, it’s rather useless articulating just how large it is – you nor I can comprehend just how ‘sand grain like’ we are within a vast cosmic ocean. 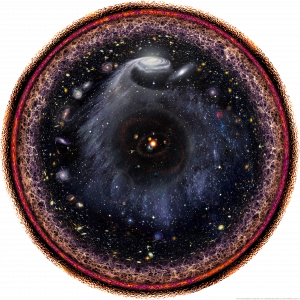 Artists impression of the observable Universe. Source: Pablo Carlos Budassi 28.341.298 via Wikipedia Commons. Kneeling on it’s shores, the individual is but an infinitesimal, ephemeral sack of particles. Can the death of such an insignificant life truly ever matter? In some sense, of course it can. To my close friends and family, my death would surely have mattered (I hope). Nevertheless, I persist, my death would have been utterly meaningless on any large scale. Perhaps I’ve imparted to you a sense of nihilism: The belief that life holds no inherent meaning. It recognises our insignificance and it’s not the most pleasant sensation. I wish to change this perception. Instead, we should be proud of nihilism – for it marks the triumph of science. Allow me to illustrate. Quite some time ago, our ancestors became conscious and emerged into an oasis: Earth. At day, a yellow ball high above kept them warm, and by night, twinkling lights in the night guided them. I can hardly blame them for believing this oasis was made just for them. It was a place that left no room for nihilism, for our ancestors were the kings of this world and the universe revolved around them – of course their lives held meaning. Science eventually removed the blindfolds to reveal a different reality: The Universe was not specially sculped for us. Even further, it is indifferent to our existence. The sun and stars no longer exist to serve us, they simply shine by the laws of nature – whether we like it or not. The more we discovered with science, the more indifference we saw in the cosmos. The first being, of course, the Copernican model of the solar system. Once it was accepted that Earth is not at the centre of the Universe, but is instead an ordinary orbiting planet, this delivered a huge blow to humanity’s sense of self-importance. The second blow was Darwin’s Theory of Evolution. No longer could man privilege himself over the animal kingdom; we are inextricably tied to all animals around us. Never before had humanity’s ego seen a starker deflation; all at the hands of science. By shedding light on our surroundings, science dethroned humanity and presented it as an insignificant speck in the cosmos. All our previous superstitions and beliefs about a Universe existing just for us have been shattered. It is from this that nihilism comes to bear – how can life on a moist rock orbiting an ordinary star among billions hold any grand meaning? It doesn’t. The Sun is an ordinary star in the Milky Way which contains 100 billion other stars. Source: ESO/S. Brunier via Wikipedia Commons. This lack of meaning is something we ought to be proud of. For it means science has been successful. It means humanity has let go of our irrational superstitions and beliefs of the world. It means science was successful in showing us the beautiful true reality of the Universe. Nihilism is the triumph of science. Previous Previous post: You have CANCER for the first time: What is expected of you or your choices for clinical trials.